I had taken a video of my grandmother on my phone sometime back, (We have a Sony ericsson P1i) and when I transfer it to my laptop, it gets saved as an MP4 version and I am no longer able to hear the audio. It plays perfectly on my phone though. If it is any help, I have a Macbook Pro. I have shot 4 clips which might probably total to about 5 minutes. And these are small somethings which I would like to save for posterity. Would someone please help me on how to make it work? After going through all the comments, I realize that I forgot to add that VLC doesn't work. Why dont you download VLC player and play it in that? The loss of sound is probably due to an incompatible player. Try changing the file extension to .3gp and try playing it using Quick Time. It might work. 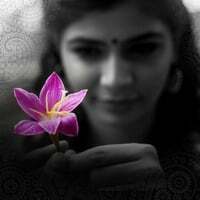 Hello..Chinmayi..Try to convert the mp4 format to some other format such as mpg or wmv. These are the website where you can convert mp4 to other formats. ok..Tc and Have A Nice Day ! or try with Quicktime player. You might be able to view them with VLC media player. One website which I use is media-convert.com, they convert files between different formats for free. I am not a techie but I would suggest trying various other media players IF you havn't tried already. I have a DigiCam and it's own bundled s/w couldn't play the mjpeg movie clips it created. Required 3rd party codec to get it done. Please download VLC Media player for Mac if you do not have it already. VLC can play a variety of formats. Technically Quicktime should be able to play MP4, but if you phone is encoding audio in a format other than MP3 or AAC, Quicktime cannot decode it without a codec. Can u check what audio format your phone records in ? iTunes 4 and Quicktime 6 play Mpeg4 formats. Try them.. There may be many software that can covert this to a format you want. I suggest you try Zamzar [http://www.zamzar.com]. Since you have a Mac, convert it to .mov format. You would get a download link by mail after the conversion is complete. I have used this for different types of formats and it has worked great for me. Simplest solution is to use a MP4 player - google it and u get it by the bucketfuls. Also installing K-Lite Codec Pack (Again, google karo - You get it in a basic, Lite and full version - use the full version). Then, your Media Player will be able to play it. I'm assuming that You have Dual OS installed in your Laptop/comp - I have never used MAC OS X.
I am actually surprised it does not play in Quicktime. Chinmayi,there are couple of converters and other methods which could probably solve your problem.. but kindly tell me some infos regarding that so that i can help you: i.e. 1.Which format was the video in when it was in your mobile? 2.In which player(like real or winamp or windows media or anyother..)did the video get played on,when it was copied to your laptop? i think some of the codecs are missing on your mac try to install some audio codecs. or use quicktime player to play it wil surely work. very simple .jus download vlc player and play the video in that.. Anyway akka one of the best methods is to convert your .mp4 formatted file to .3gp file 'cause of this being user-friendly and platform friendly.. The link for downloading a .3gp convertor is http://www.pop-software.net/mp4-to-3gp.htm ..kindly,try converting the actual extension to .3gp from the above.. when you've done that,i guess that your problem should have got solved!good luck. Try turning up the volume. I know it sounds trivial but, sometimes we miss these little things ! Also, check whether you are able to hear through headphones. Download an MP4 file from the net / elsewhere and check whether that plays. I use KLite codec on Windows which comes with a 'lite' media player that plays most formats. Not sure whether you will get it for Mac though...still Google for it. goto the above link and install that plugin into your existing quick time player. that will solve the problem. it will add the codec for mp4 formats. it has versions for MAC and linux too. just reply here if it works. Since you have a Macbook Pro. My guess is it should work as is, if you play it using Quicktime. MP4 ~= Quicktime, get along very well. Other options : 1. K-Lite codec pack. Contains codecs for all the audio/video formats on earth. 2. Simpler option - VLC player with all codecs packaged. How could you be so dumb and stupid! @shadowcodes: the point you have to note is that she is a MAC user. CCCP is for windows. hey anonymous.. who are you referring to in particular? This would convert your mp4 file to mac specific mp4. That might probably solve your prob. Lemme know if it works. Oh pretty sad akka that it hasn't yet been solved.. anyway,kindly answer to this alone: in what all players did you try playing the video(s) and is your video still in .mp4 format? Is it possible for you to manually transfer the file as it is (instead of letting the software automatically convert it to mp4) and then trying to play it in Quicktime or VLC player. You can also try to transfer the file from your phone to other phone/PC through other connectivity methods such as Bluetooth/WiFi and then try to play. Chinji, it would be easier for us to give you a solution if you can upload a small clip of a video with which your experiencing this problem.Please upload it in the same format in which you have saved them on your laptop, so that it can be downloaded and analysed. See this process is becoming lengthy. People say too many ideas and nobody is sure what works. i work in a post-production studio and we usually face codec problems. Solution: Shoot a sample clip with some sound from your p1i and send it to me. i have access to mac. will let you know once decoded. ok? The MPEG-4 file format, as defined by the MPEG-4 specification, contains MPEG-4 encoded video and Advanced Audio Coding (AAC)-encoded audio content. It typically uses the .mp4 extension. Windows Media Player does not support the playback of the .mp4 file format. You can play back .mp4 media files in Windows Media Player when you install DirectShow-compatible MPEG-4 decoder packs. DirectShow-compatible MPEG-4 decoder packs include the Ligos LSX-MPEG Player and the EnvivioTV. Requires some time and patience to get there. In the meanwhile, if I happen to find a way to do it, I'll post one more. I would suggest (again) that you try the K-Lite Codec Pack. It's a free codec pack and in my opinion it can play anything under the sun. Since you're owning mac, I suggest you convert the file to an apple proprietary format and then try playing it. If you can't convert with FFMPEG , no other tools can help. ok - try transferring the file to another media - say an audio player which can play mp4 file. if not, try converting the file to another format and see if you can play it with audio in pc.